We love coffee. Americans love coffee. The world loves coffee. The entire human race lives and thrives off of the magic bean that’s crushed and strained into life-giving juice. But there’s a deep divide between coffee drinkers that’s created by a never ending search to find the best cup of coffee. Of course, we couldn’t try all of them, but what we did try was four different brands that you could likely walk or drive a short distance to and rank them for your sipping pleasure. We did a blind taste test of Dunkin’ (we don’t say Donuts anymore), Folgers (home-brewed in a coffee maker that we tested), McDonald’s, and Starbucks. The results weren’t shocking, as we learned your best bet is to just make coffee at home, but if you’re going to step out for a cup of joe, here’s where you should be heading to. 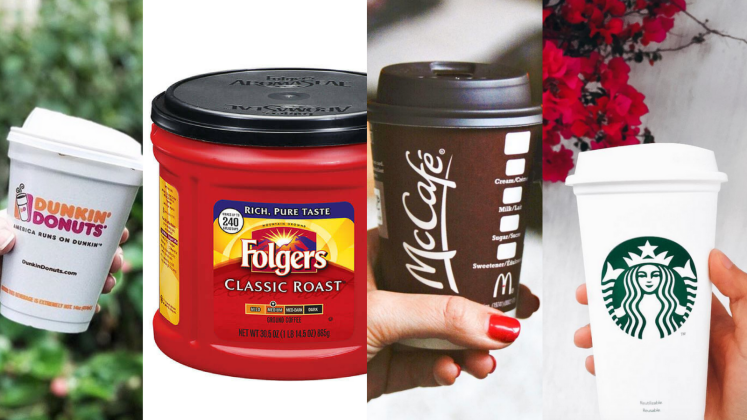 By the narrowest of margins, Folgers edged out Starbucks for the top spot. Most of our testers saw it as an average-to-good cup of coffee that was mild with a bit of bitterness, but not a whole lot of flavor. They found it smooth enough to enjoy and said it was a cup of coffee that they’d definitely have again. Of course, besides the taste, the other positive was the price. For just $5.29 at Target, this coffee can provide around 90 servings, depending on how strong you like your coffee. Tester quote: "This isn’t bad at all. Not exceptional, but definitely tasty." Author’s note: This was the first pot of coffee I’ve ever brewed, so after this story is finished, I’m leaving to become a barista. As mentioned above, Starbucks lost by a small margin in the overall test, but in terms of coffee shops, it took the crown comfortably. 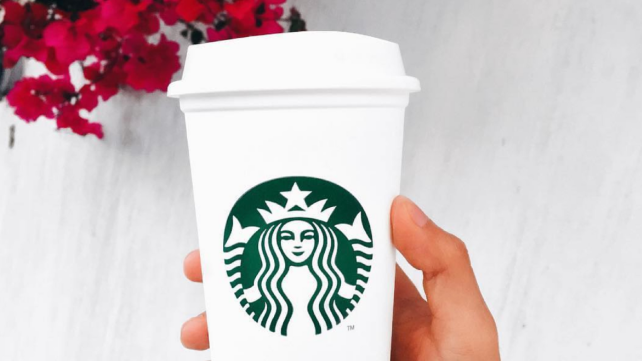 Of the coffee brands we tested, Starbucks was noted by many testers as the most flavorful cup of coffee they’d had and one that they’d want to sip at work all day. It was bitter with notes of different flavors involved and had an aroma that drew people in as well. And in the grand scheme of things, a venti (large) dark roast coffee costs just $2.75 for an affordable and solid cup of coffee that you can dress up any which way you choose. Tester quote: "This is yummy! 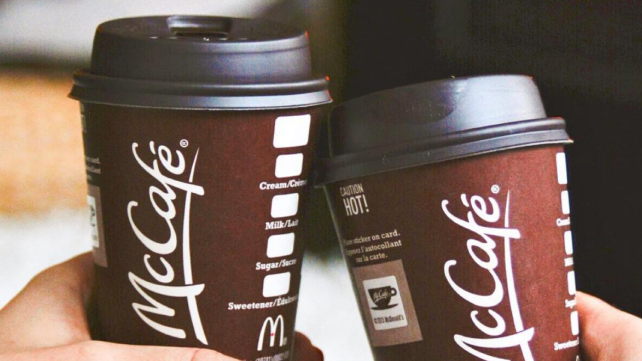 Happy to sip at work all day long." The golden arches may have been the surprise finisher in the group, as many testers believed it was another brand. Some thought it was a bitter brew, while some saw it as a bit watery, but almost all agreed that there were some notes of flavor to it. Overall, it was an average cup of coffee to the majority of the testers, though not a smooth one. For just a dollar for a large though, the coffee is palatable and could be worth it in a pinch. Tester quote: "Better than gas station, not as good as home-brewed." 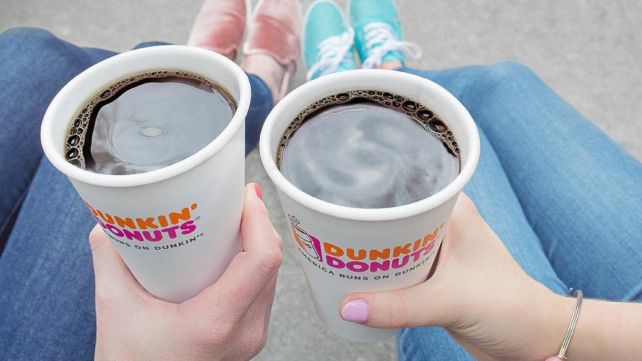 The overwhelming thought on Dunkin’ was that our testers would drink it, but only if they truly had to. The thinness of it was what stood out to most people as it tasted watered-down, leaving little room for flavor or bitterness. According to most, it was also burnt-tasting if not just plain bland. Of course Dunkin’ is the preferred brand of many and for $2.09 for a large, it’s not hard to explain why when paired with an array of donuts, sandwiches and other choices. 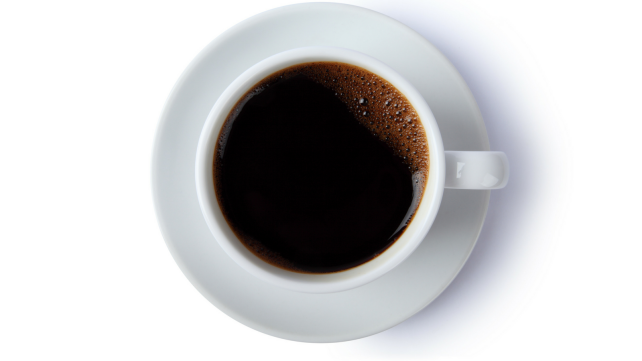 Tester quote: "This tastes like gas station or church-basement coffee, which you drink if you have to, not because you want to." 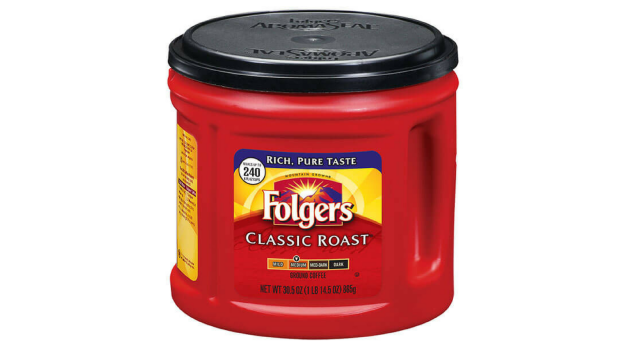 For each brand, we purchased the standard black caffeinated coffee with the exception being the original blend from Folgers and put a small portion in nondescript styrofoam cups to ensure a complete blind taste test. To rank the coffee, we created a form for each sample to be scored on a scale of one to five (one being the worst, five being the best), with one sample tested every day for four days. There was also room for comments as shown above which helped to dig deeper into each cup.